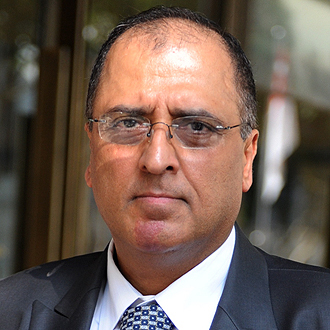 We’ve begun hearing back from museums that did business with Subhash Kapoor, the New York antiquities dealer under arrest in India for trafficking in looted antiquities. For those just catching up with the Kapoor story: The dealer, an American citizen of Indian extraction, has operated Art of the Past gallery on Madison Avenue since 1974. 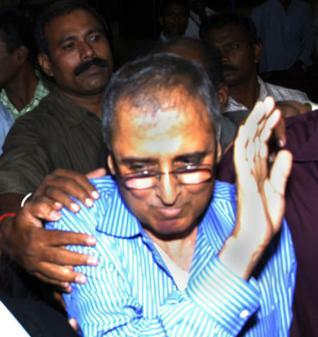 He was arrested in Germany last year and was recently extradicted to India, where he is alleged to have been the mastermind behind a network of temple looters operating in Tamil Nadu. Authorities there have also accused Kapoor of trafficking in looted antiquities from other parts of India, Afghanistan, Southeast Asia and the Islamic world. Federal authorities in the United States have also issued an arrest warrant for Kapoor and seized more than $30 million worth of allegedly stolen antiquities from Kapoor’s Manhattan storage facilities in recent months. Kapoor has done business with leading museums around the world. Indian authorities have said that Kapoor worked with his brother Ramesh Kapoor, who runs Kapoor Galleries in New York. Kapoor Galleries was not raided by federal authorities, and to our knowledge Remesh has not been charged with a crime. The Los Angeles County Museum of Art acquired 62 objects from Kapoor. Twenty-eight were purchased from Kapoor or his Manhattan gallery Art of the Past between 1989 and 2007. Another 33 were donated by Kapoor between 1978 and 2000. We’ve posted the complete list here. Twenty-nine of the objects are ancient. All but 8 of them belong to a single hoard of ancient figurines from Madhya Pradesh, in central India. Two other antiquities are terracotta pieces from the 3rd and 2nd Century BC from Mathura, in Uttar Pradesh. 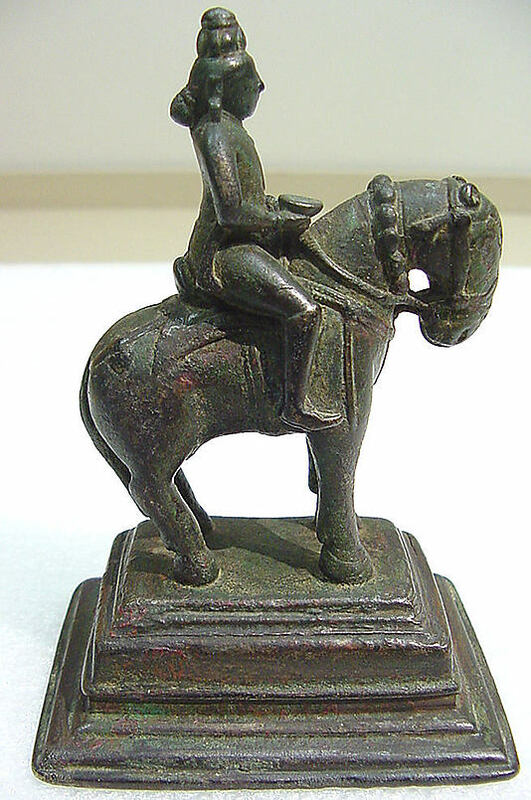 A third is a copper sculture of Mayadevi from Uttar Pradesh, circa 100 AD. Elephant with Riders, 3rd-2nd century B.C. Another 18 objects at LACMA were acquired from Kapoor’s brother Ramesh, who Indian authorities say worked with his brother Subhash to import looted antiquities illegally removed from India. LACMA acknowledges it has no documented ownership history for any of the ancient objects. “We’re re-examining all these items in the light of the recent news,” said museum spokeswoman Miranda Carroll. The Boston MFA has just one object fr0m Kapoor – a page from a 17th century illustrated manuscript, The Jealous Older Woman and the More Impetuous Younger Woman. It was purchased in 1995 from Art of the Past. Kapoor bought it at Sotheby’s, New York, in 1994, and was privately owned prior to being sold at auction, museum records show. The MFA also purchased two 17th century works from Kapoor Gallery. The Art Institute has two objects purchase from Kapoor. “We are in the process of confirming the provenance information and will take appropriate steps when we have completed this review,” said museum spokeswoman Erin Hogan. We’ve requested information about the objects — the museum’s online collection database does not allow for searching by provenance. Museum spokesman Tim Hallman said, “We have not been contacted by any officials investigating Mr. Kapoor’s dealings. However, when news broke of the investigation, the museum’s director instructed our chief curator to review the collection records to determine if we obtained items from Mr. Kapoor. We are still reviewing the files (our holdings include more than 18,000 artworks).” We’ll post the list of objects when we get it. UPDATE: Hallman got back to us with details. The Asian Art Museum acquired four objects from Kapoor, including a 14th century statue of the Hindu deity Shiva in the fierce form of Bhairava (above), said to be from Karnataka, the Indian state west of Tamil Nadu where Kapoor is being held for trial. The Asian purchased the statue from Kapoor in 2000. “We have have carefully reviewed our records for each object and have not found any information to suggest that that any of these four art objects were acquired or imported illegally,” Hallman said in an email. The complete list of Kapoor objects at the SF Asian can be found here. The Toledo Museum continues to ignore our requests for information about objects they acquired from Kapoor and several other dealers tied to the illicit trade. The New York Times reported that Toledo acquired 44 terracotta antiquities from Kapoor in 2007. The museum’s website appears to offer information about just one of those objects. It is hard to fathom how a museum whose considerable assets are exempt from taxes because they operate “in the public interest” can refuse to answer the public’s questions about objects in its collection. Only Princeton University Art Museum has shown a similar disdain for the public’s right to know. As we reported last week, the Metropolitan Museum of Art acquired 81 objects from Kapoor, four of which are antiquities that have no documented ownership history. For reasons that remain unclear, the museum also knowingly acquired five forgeries from Kapoor in 1991 for the museum’s study collection. Many of the Met’s other Kapoor objects are drawings from the 17th, 18th or 19th century highlighted in the museum’s 2009 exhibit, Living Line: Selected Indian Drawings From the Subhash Kapoor Gift. The NGA has acknowledged buying 21 objects from Kapoor, including a bronze Dancing Shiva said to be tied to the Kapoor investigation. That news has set off a wave of press reports in Australia about the case. The museum claims to have followed a “thorough due diligence process” and contacted Indian authorities this week to offer its cooperation in the investigation. UPDATE: The museum released a statement saying, “The Gallery has commenced plans to undertake a comprehensive re-examination by a panel of internal and external art experts of the supplied documentation as well as the provenance of work acquired from Mr Kapoor, as many international Galleries are also doing. The Gallery is liaising closely with the Indian High Commission in Canberra to ensure that the internationally accepted protocols for dealing with such issues are followed.” The NGA has not yet released details about the provenance of the Shiva or other Kapoor objects. The Freer and Sackler Galleries told the New York Times that the only object they had acquired from Kapoor was a 20th century Indian necklace. The Art Gallery of New South Wales purchased six objects from Kapoor, Australian media reported. Former Getty Museum director Michael Brand, who took the helm of the Australian museum in June, said, “No-one has made any suggestions that the works in our collection or stolen or that there are any issues about those works. Should someone come to us and say that there is reason to believe then we would obviously collaborate in any way we can.” Among the objects at the museum are this one, highlighted by David Gill. The website of website of the Tamil Nadu police has additional information about the Kapoor investigation, along with photos of missing idols. Where are these idols now? 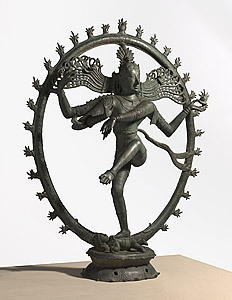 The NGA’s Shiva appears superficially similar to one of the Dancing Shiva’s shown there. This entry was posted in News and tagged Art Institute of Chicago, Asian Art Museum, Boston MFA, Freer and Sackler Galleries, LACMA, looted antiquities, Metropolitan Museum of Art, National Gallery of Art, Smithsonian, Subhash Kapoor, Toledo Museum of Art. Bookmark the permalink.